Everyone has something meaningful to frame, and story to go with it. Read some of the stories of our customers unique framing projects that we were honored to help with! 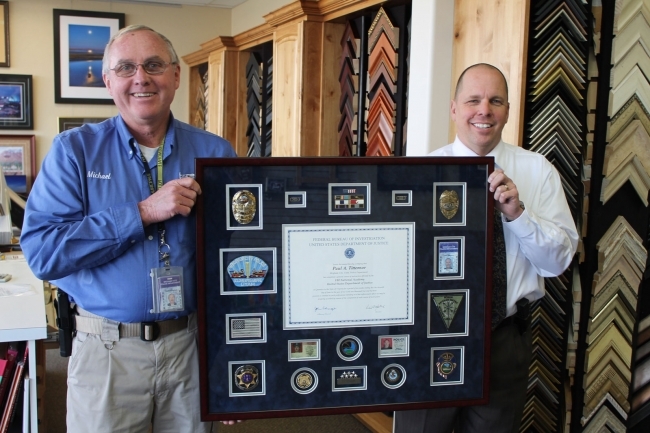 The Brigham City Police Department has used “Frame It” several times to do a shadow box for Officers that retire from our Department. The shadow box contains items like badges, shoulder patches, medals, certificates, commendation bars, name plates from the uniform and many other items that the retiree would like placed in the box. This company has done excellent work in displaying these items in the shadow box for the Officers. Their work is outstanding and is second to none. They have great suggestions and are super to work with. I would recommend their services to any Department or Officer doing a shadow box for their retiree or for themselves. 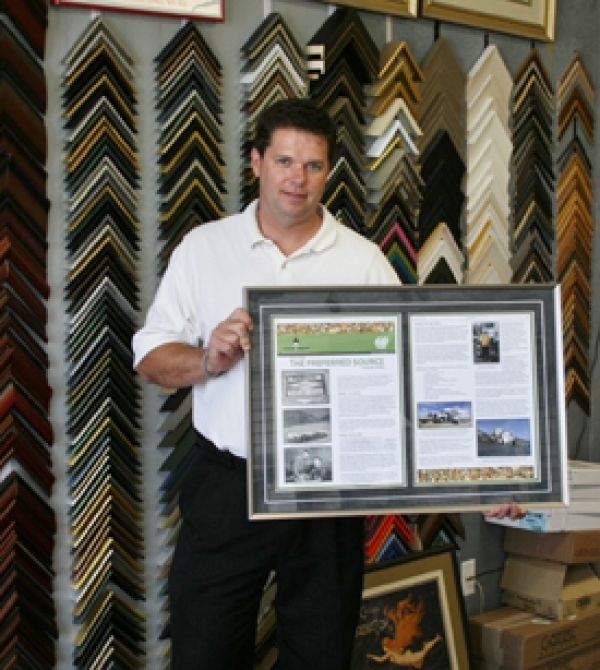 It is my pleasure to endorse Frame-It as a reputable and friendly place of business for all your framing needs. For over ten years, I have gone to Frame-It on behalf of my organization as well as for personal needs. 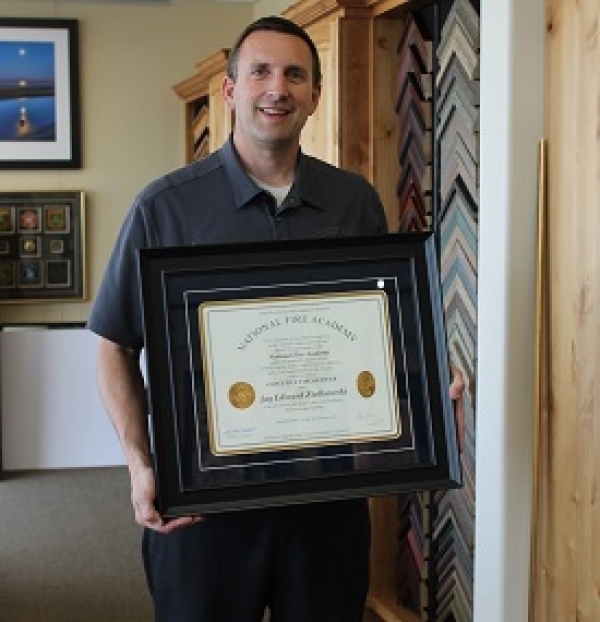 They are masters in their craft, and I have repeatedly been impressed by their ability to frame a variety of items, to include not only pictures, but artwork, retirement plaques (to include badges and patches), and degree certifications. I never hesitate to drive their first! We wanted to add a little bit more to the oil painting on canvas; we wanted it to look a little more "finished". We have a special affinity for the mountains and for the fall season, so we immediately loved this painting, but it needed something else. 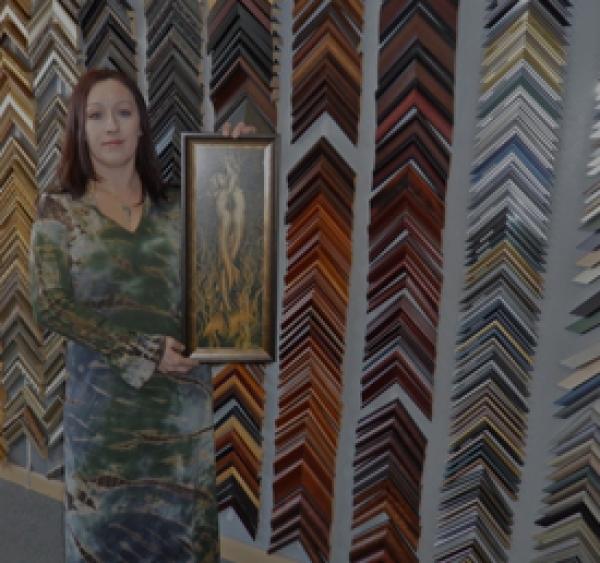 We had a specific frame in mind, and the staff at Frame-It did a fantastic job of showing us the selection and styles we were looking for; in fact, I had called on the phone to see if they carried that product, and when I got there, they had it ready and waiting to show me. Very professional, knowledgeable, informative. Also, a very good value with a great selection. Very quick turn around time, very reasonable pricing. I appreciated the way the staff kept me apprised of the time frame, etc. Each year we have a theme song written and performed for our companies National Conference. As a birthday present my family presented the sheet music to me for framing and display at our Corporate office. At Renatus we don't do anything small so I wanted to create something that would share the experience of our National Conference and really wow people when they enter our reception area. The challenge was to find a framing company that could pull it off. After calling a few framing companies out of the yellow pages I was growing concerned that no one had the expertise locally to handle the job. That's when I found Frame-It. Patty, Jim and their staff are fantastic to work with. Their creative problem solving approach was refreshing and the end product is just what we were looking for, AMAZING! If you are looking for a competent, creative and professional company to turn your idea into art just call Frame-It. Why I framed my item was due to the Three Angels in my life. I knew Frame-It could make something in my minds eye look beautiful and have and show great meaning to my Family. I was told about Frame-It by a very special Lady and teacher who taught me how to do Filet Crochet, she was a master and said that Frame-It was the only shop that could frame a crochet picture of the "Last Supper" to fit in the frame truly square and perfect. She was so right, my husband was a contractor who needed several metal frames for jobs sites and we would call from out of state and have Frame-it do these. 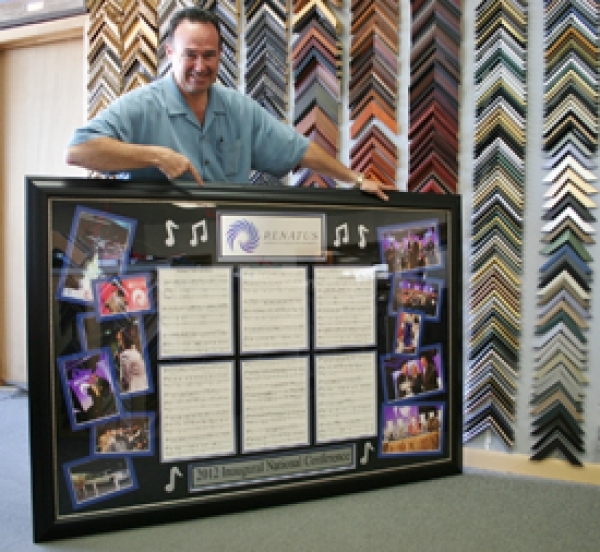 Frame-it has been framing our things for 21 years, you will never be a stranger at this business! I've been holding on to this very special (to me) print for a few years. A good friend here in Vernal introduced me to the artist. Chukar are my favorite upland bird and it was important to me to have this print framed with special care, that's why I took it to Frame-It. I will now hang it on the wall with two other special upland bird prints (framed at Frame-It) to remind me of the times I spent in the fields and hills of Idaho and Utah. Patty and her staff at Frame-It have always treated my art work as if it was their own. Their ideas, creativity, skills, and wide variety of materials to work with have produce outstanding products for me, again and again. 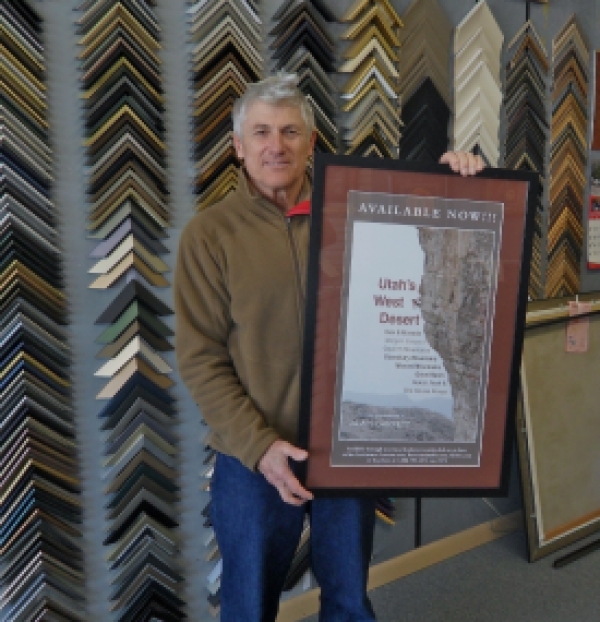 That's why I travel 175 miles, one way, to Frame-It in SLC for all my art framing needs. I needed really nice poster boards to help advertise my new Rock Climbing Guide book. Although Frame-It is further from my home that other frame shops, my wife said "It is still worth it to go down to Frame-It. Thanks Frame-It for really taking a personal interest in making sure I get the quality. I am colorblind and you made sure it was right. This is my second piece framed from Frame-It. 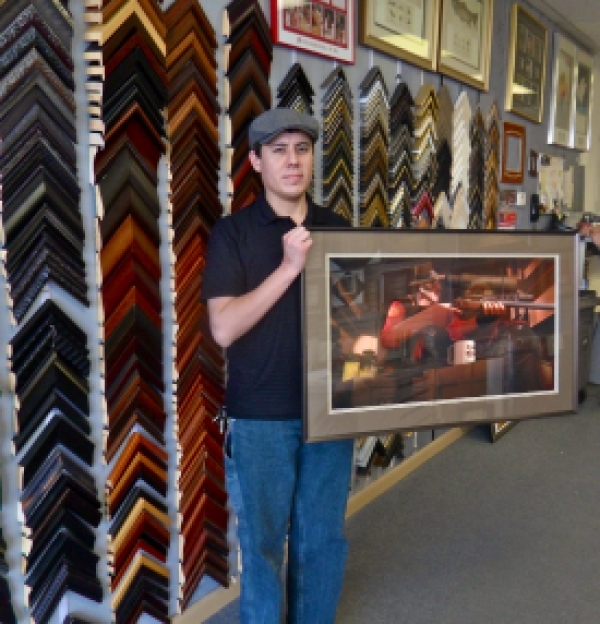 My favorite part about the experience is having someone that can look at an item with me and almost instantly make amazing recommendations about frame style, colors and matting. I don't necessarily have an eye for that sort of thing. I've just brought in the pieces. They have the ability to see the thing as a whole where I am lacking. At the end though I've always been superbly happy with the results and I can't wait to bring in my next piece. I'll have a regular art gallery at some point. We had just built a new custom (empty nester retirement) home and wanted to have several pencil drawing prints framed and matted, so that they would look professional and fit in with our color scheme and decor. The girls at Frame-It were very accommodating in their service. As we would throw out an idea they would pull several frames, then several mat colors, then several textured mats, then multiple mat schemes. We discussed how big the wall was and they suggested how big a matte and frame. They were very patient and understanding throughout. We felt we had entrusted this task with the right people. When the framing was complete we went to the store to pick up the prints and we were "wowed". The joints were perfect, the matting was perfect, the colors were perfect. We had some family and friends over and did not point out these frames, whereby they noticed and said the art and framing was awesome. Needless to say we are very happy with their work. 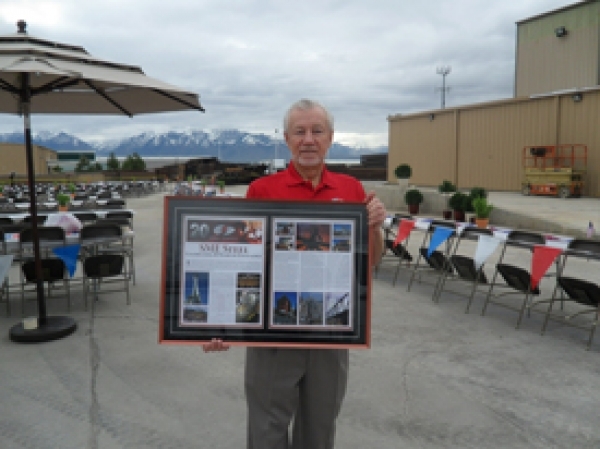 SME Steel recently celebrated its 20th Anniversary. Earlier in the week, a local business newspaper, Salt Lake Enterprise, published a feature story on this exciting achievement. We wanted to showcase this article for the 800+ attendees at our celebration. With two days’ notice, Frame-It dived right in and beautifully framed this article five times over in order to have them ready for our celebration. Frame-It did an outstanding job and went above and beyond staying all night in order to make the deadline for us. 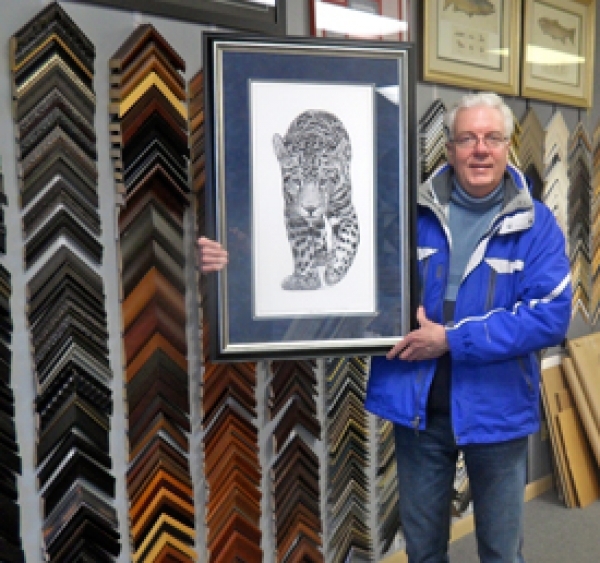 They have been our “go to” framers for many years. We are always delighted with the outcome. 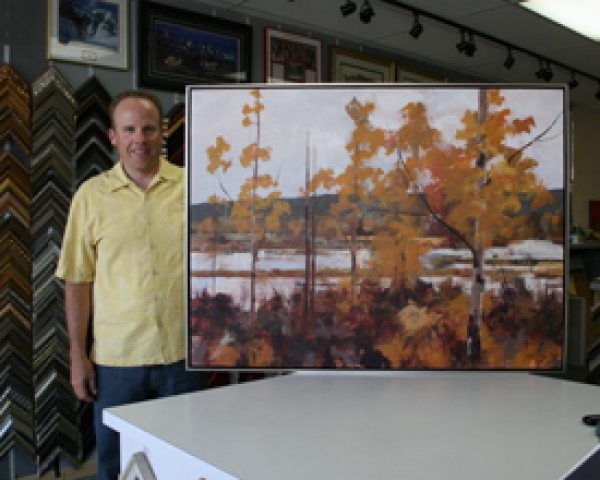 Their staff has talent and creative ability to frame anything in the best possible way. David Delamare is my favorite Fairy/Mermaid artist, and my prints are just too beautiful to not have decorating my home. The customer service at Frame-It is phenomenal. I have only experienced a couple of other places that are so good to their customers. The staff are very friendly and sensitive about their customers financial needs. 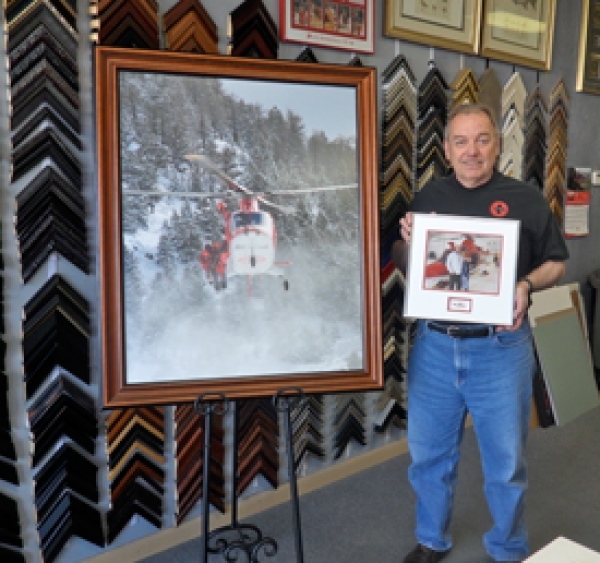 There was this very unique photo of a rescue that one of our flight team members had enlarged, it was such a striking photo that we decided to frame it and hang it in our reception area. Because of the size, we used an old frame that we didn't know what to do with – didn't even know if it would work—Patty said she would take care of it. Turned out to be one of those things that stops you in your tracks when you see it! 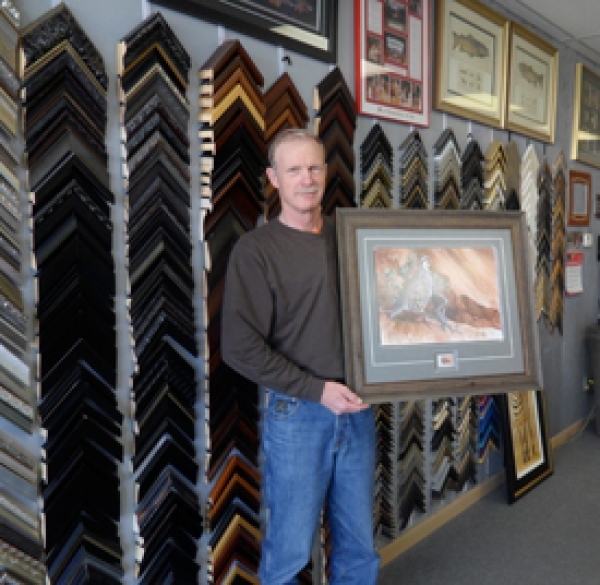 I've been fortunate to work with the great people at Frame-it for more than twenty years, not only is their products top rate but their creativity and imagination is truly remarkable – they know what I want before I do—you just can't beat that, thank you. I wanted to get something special for my friend Judy's new home. 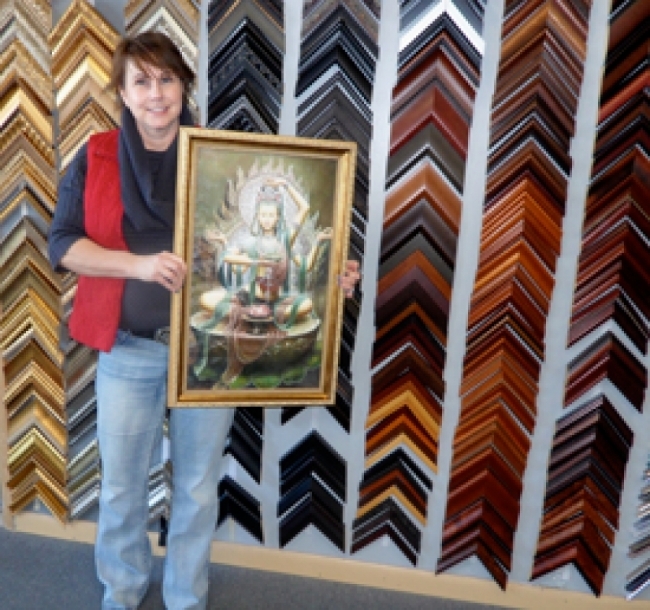 I ordered a painting of Quan Yin, who is a healer, for Judy because she runs a reiki business from her home. The painting couldn't be completed in time for Judy's house warming party, so I had the artist ship it to her directly. Judy received it & told me she loved the painting, that it was beautiful. I went to her home to see it. She brought out what looked to be a scroll, unrolled it & it was the painting. Even though it was beautiful, I was disappointed because it was just a piece of canvas; no stretchers! I took the painting back from her and took it to my friends at Frame-It, where they stretched it for me (for Judy). I was happy with the cost and with the time it took to get the painting back. I received a call from Lindsay, telling me it was ready to pick up, so I went in that same day. I walked in and saw it immediately and I was absolutely stunned by how beautiful it was! 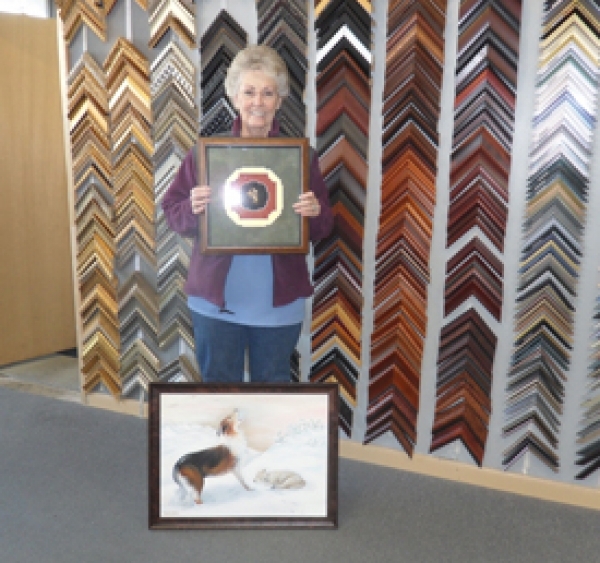 Not only had the stretched the painted, they had put a beautiful frame around it that they donated as a gift to Judy! It made all the difference. I returned the painting back to Judy and she loves it too. Thanks Patty & Lindsey!